The winner of this weekend's Sainsbury's Draw has been picked by Paul Le Feuvre. 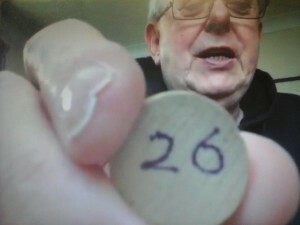 The number drawn out of the bag of balls this week was number 26 which belonged to Sheila who was on Cardiology. She wins a goody bag donated by Sainsbury's at Liphook. Next weekends draw will be done live from the top of the Orbit at Queen Elizabeth Olympic Park as part of the 1000th Sound of Sunday. 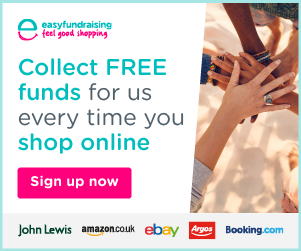 Shop online with any of 3300 retailers via EasyFundraising. We'll earn commission on your purchases. Click on the bannner and then JOIN US. Todays Live Good Friday Show From Midday Till 2PM, With t'mother in law Elaine - Enjoy! Copyright © 2001 - 2018. All Rights Reserved. 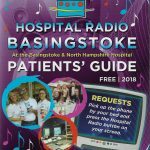 The owner of this website, Hospital Radio Basingstoke, is a participant in the Amazon EU Associates Programme, an affiliate advertising program designed to provide a means for sites to earn advertising fees by advertising and linking HRB to Amazon properties including, but not limited to, Amazon.co.uk/Javari.co.uk/Amazon.de/Javari.de/Amazon.fr/Javari.fr/Amazon.it/Amazon.es.